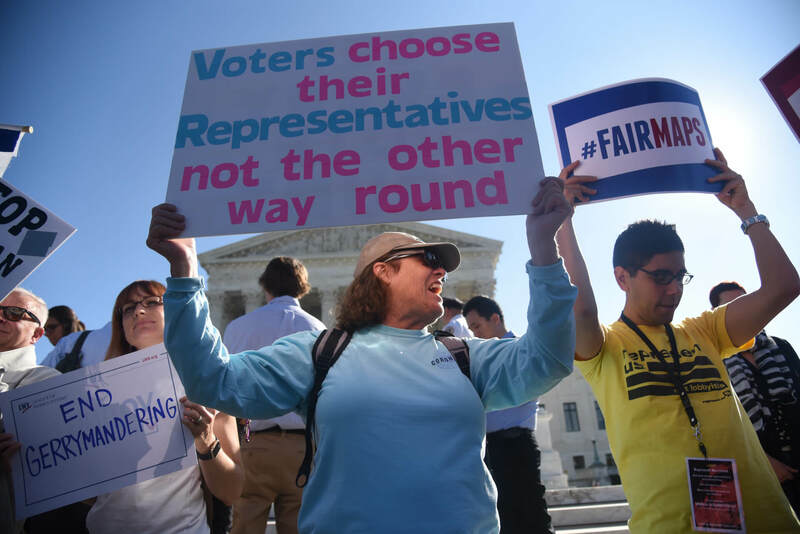 As proceedings are underway in a Detroit federal courtroom to determine whether Michigan’s legislative districts are gerrymandered, a new report looks ahead to more changes in the state’s redistricting process. In November, voters approved Proposal 2, a constitutional amendment establishing an independent commission that will be in change of determining congressional and legislative districts after the 2020 census. In collaboration with the Princeton Gerrymandering Project, a group of Princeton Woodrow Wilson School of Public & International Affairs graduate students, wrote a report on the next steps they believe should be taken in Michigan to ensure a fair redistricting process. “A Commissioner’s Guide to Redistricting in Michigan” includes information on redistricting law, best practices for mapmaking and lessons from past independent commissions. Sam Wang, a well-known neuroscientist and professor of molecular biology, is the founder of the Princeton Gerrymandering Project. The report was published on the Princeton Election Consortium website. The report was praised by leaders from Voters Not Politicians, the group that wrote Proposal 2. “We are committed to making sure that the Independent Citizens Redistricting Commission succeeds in drawing maps in a fair, impartial and transparent way. These recommendations will help Michigan’s first Citizen Commission hit the ground running,” said the organization’s president, Nancy Wang. Allegations of gerrymandering — manipulating legislative district boundaries to favor one party or class — have loomed large in Michigan for years. The case currently in federal court is League of Women Voters et. al. v. Jocelyn Benson. Benson, a Democrat, became party to the lawsuit when she took office as secretary of state on Jan. 1. She said there is evidence of gerrymandering and tried to settle the case before trial. But a three-judge panel rejected the consent agreement. Republican lawmakers, including state House Speaker Lee Chatfield (R-Levering), have intervened in the lawsuit. At the last minute, they attempted to halt the case by appealing to the U.S. Supreme Court, but their motion was shot down. According to the Princeton report, test maps showed that a wide range of partisan outcomes is possible. But by establishing explicit guidelines and hiring bipartisan or nonpartisan staff, the report said the commission will build trust in a new political institution. Almost 62 percent of Michigan voters supported the ballot initiative putting redistricting in the hands of an independent citizens’ commission. Now, under Michigan law, a 13-member citizens’ redistricting commission made up of four Democrats, four Republicans and five independents. It bars partisan officeholders, their employees and registered lobbyists. A GOP attempt to change the composition of the new independent commission was considered during the last year’s Lame Duck session, but didn’t make it to former Gov. Rick Snyder’s desk. Districts must be of equal population and avoid bias against protected communities, as required by federal law. Districts must also be contiguous. Protection for Michigan’s diverse communities of interest and prohibits giving an unfair advantage to any political party. Districts can’t favor or target individual officeholders, preservation of administrative boundaries where possible and compactness. Prioritization, which should be done within a central framework of avoiding bias against parties or communities of interest. The white paper recommends that Proposal 2’s criteria should “ensure representation of communities of interest and avoid bias against political parties.” And Princeton students said that data-based tools for visualizing communities of interest will maximize the impact of public input. The report also recommends that the commission hire expert counsel on voting rights and the use of race in redistricting. Commissioners also should receive training for Voting Rights Act compliance, the use of race in redistricting and other legal issues. Structuring requests for public input, including maps. Avoiding partisan packing of districts to the greatest extent practicable. Avoiding drawing maps that intentionally strengthen or weaken individual incumbents. Reviewing prior district maps to understand historical precedent. Seeking a bipartisan statement of support from the state Legislature. Incorporating a public educational component into public hearings. Making all public comment available to commissioners and the general public.